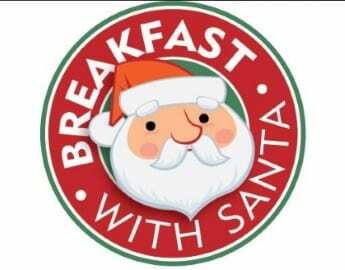 UPDATE: The December 17 Breakfast with Santa has been moved to Sunday, December 18th. It’s that time of year again. Richardson Farms in White Marsh will having their annual “Breakfast with Santa” celebration next month. Saturday & Sunday, December 10 & 11 – 8 a.m. to 10:30 a.m.
Saturday, December 17 – 8 a.m. to 10:30 a.m.
Tickets are $20 for adults (age 14 and older) and $18 for kids (admission for children age 2 and under is free). 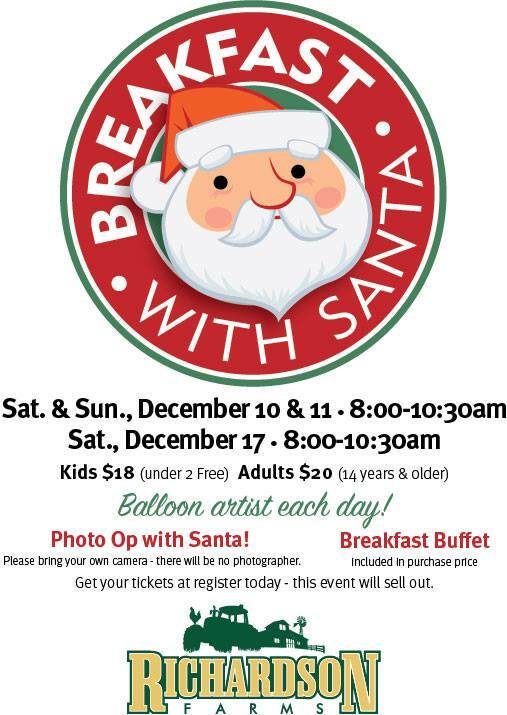 There will be a full breakfast buffer, a balloon artist, and, of course, a photo-op with Santa. Get your tickets at the register. This event will sell out fast. Don’t forget to also get your tickets for “Breakfast with Santa” at Red Brick Station.